TORONTO, Canada  October 15, 2012  Strong partnerships and a vigorous focus on customer service have enabled ITC Systems to develop an innovative wireless printing solution for the Berkeley Public Library, says ITC Systems CEO Campbell Richardson. 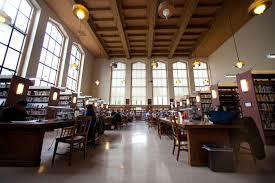 The Berkeley Library is a technologically focused organization with three branches located in the San Francisco Bay area of California. Two more branches are currently under construction and as they come on-stream over the next few years, they will be equipped with wireless printing capability as well. In addition to the ITC Systems wireless printing system, the library also uses coin and bill payment devices that ITC Systems manufactures and has installed with great success in other locations around the world.